It’s pretty easy to defer or delay the execution of an objective-c method using “performSelectorAfterDelay” or any number of methods. Debouncing—running a method just once in the next pass through the run loop after it’s been called multiple times—is a bit trickier. However, in the case described above it’s perfect. Touch the model all you want, call “save” a dozen times, and in the next pass through the run loop, it get’s saved just once. A more advanced version of this method would allow you to say “perform this selector just once in the next 100 msec” rather than performing it in the next iteration through the run loop. Anybody want to take a stab at that? Teaching kids to code: It’s not about fame and fortune. I’ve been programming since I was seven. I started with Cocoa, the children’s language developed by Apple in 1996 (they recycled the Cocoa brand when they bought NeXT). Then I learned AppleScript, REALBasic, and eventually Objective-C and Java. I have code so old that it’s full of spelling mistakes: I learned to program before I could spell trivial words like “building.” My personal journey as a programmer was propelled by my dad who has been developing Mac shareware for more than 25 years, but it mirrors what might happen if programming is taught in schools. For the most part, that’s really exciting. Over the last few years, I’ve been in more than 30 classrooms—in elite private schools with Macbooks for every student, and in inner city schools on the edge of collapse. My research in educational technology has brought me in touch with the kids code.org is trying to reach, and I think all of them would benefit from learning to code. But when I look at the impact programming has had on my life—especially on my childhood, marked by school transitions, my parent’s divorce, and a fair bit of high school drama, it has done far more for me than provide a steady job. For kids, programming is about zen. It’s about learning patience. It’s about feeling accomplished when the world around you seems to be rooting for your failure. It’s about being able to sit down at a $250 Chromebook and envelop yourself in a world where known rules apply, where constant input produces constant output. A world you can learn to understand and use to create whatever your heart desires. For kids for whom most of the world makes no goddamn sense, it’s an amazing gift. I understand why code.org is marketing to students the way it is—you don’t tell inner city kids to play basketball because it’ll keep them in shape and doesn’t require grass, you tell them they can be like Michael Jordan. What upsets me is that the individuals who tell their personal stories in their latest video—people who have a deep, personal affiliation with the art, present it in such an objective way. If I were featured in that video, my cameo would by dramatically different. Programming taught me patience and process, and it’s given me balance when I’ve needed it most. Just a quick tip. If you’re subclassing UICollectionViewLayout or UICollectionViewFlowLayout and targetContentOffsetForProposedContentOffset:withScrollingVelocity: is not being called, check to make sure your UICollectionView does not setPagingEnabled: YES. If you have paging enabled on the collection view, that setting takes precedence over the targetContentOffset. stringWithFormat: is slow. Really slow. In this example, I’m using stringWithFormat: in a simple way. To read four CGRect values for the rect ‘frame’ from the dictionary, it creates the keys [email protected], [email protected], [email protected], and [email protected] Because of the way my app works, I call stringWithFormat: to create strings like this a LOT. In complex situations, to the tune of 20,000x a second. // the following code just creates %@@%d  - but it's faster than stringWithFormat: by a factor of 10x. It’s worth mentioning that I’ve refactored the app even more—to completely avoid saving structs this way (since NSValue is uh… an obvious solution), but I felt like it was worth posting this anyway, since you might not be able to refactor in the way I did. I’ve been using Coffeescript extensively over the last few weeks. Overall, I love it. The flexibility of the language and the clean, minimalist syntax occasionally causes problems, though. In this blog post, I’ve documented some of the pitfalls that have cost me hours of time. Each of these problems is the result of user error, but are also largely the result of language design choices. Hopefully reading this will save you from these pitfalls! The low down: a - 1 is math, a -1 is a function call. Advice: Always place spaces on both sides of mathematical operators, and think about whether your code could be interpreted as an argument list. The low down: Converting a C-style for loop to for i in [array.length - 1 .. 0] produces unexpected behavior when array.length = 0. Know of more Coffeescript syntax pitfalls? Help me make this blog post a great resource—let me know what you think in the comments and I’ll cite you! 1. Fireworks deals with objects, not layers. In fireworks, you create interface elements using primitive shapes and then add gradients, drop shadows, etc… They have great tools for selecting objects, and it’s easy to grab them and move them around. You could use Photoshop shape layers, but once you’ve tried the Fireworks approach I think you’ll find that shape layers are an awkward extension of the layer concept and not a true solution for interface design. 2. The properties of objects in Fireworks mirror what is possible in CSS3 and also in iOS / Android while remaining flexible enough to make anything. I’ve gotten too many Photoshop designs where beautiful assets were static images. The Fireworks object / properties model encourages designers to create things out of object primitives and downplays images wonderfully. 3. PNG is the native file format of Fireworks. PNG is also the native file format of iOS and Android, meaning you don’t have to “export” the images without layers as assets. You just use the actual source images in the app. When something needs to be tweaked, you right click it in the sidebar of Xcode, say “Open in External Editor” and bam. Fixed. 4. 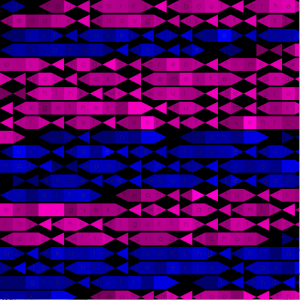 Fireworks is vector based, but it is intended for bitmap output. This combination means it’s easy to @2x things and create two sets of images, because the objects in the design are vector based anyway. John Nack on Adobe: How could we improve Photoshop for iPhone Developers? If you’re looking for a more expansive tutorial, check out Liam Kaufman’s intro to Socket.io, Mocha, and Node.js. It’s by far the best tutorial I’ve found so far. 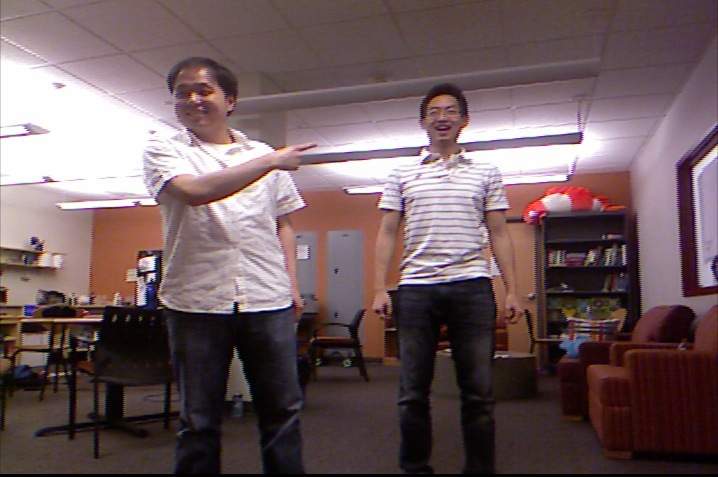 A Kinect hack that performs body detection in real-time and cuts an individual person from the Kinect video feed, distorts them using GLSL shaders and pastes them back into the image using OpenGL multitexturing, blending them seamlessly with other people in the image. It’s a straightfoward concept, but the possibilities are endless. 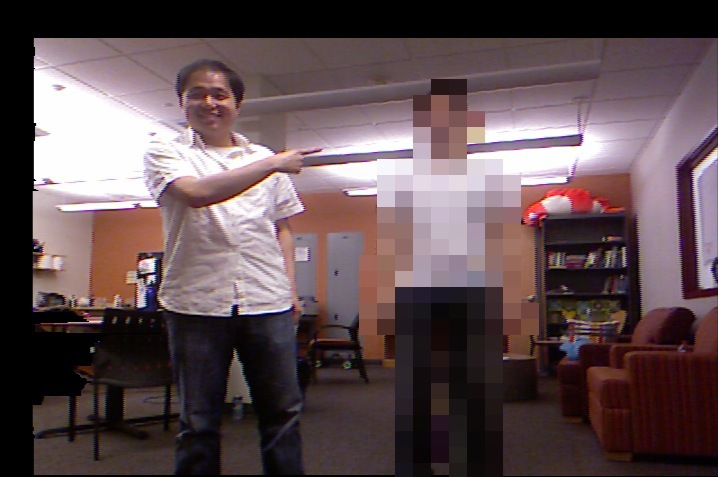 Pixelate your naked body and taunt your boyfriend over video chat. Turn yourself into a “hologram” and tell the people around you that you’ve come from the future and demand beer. 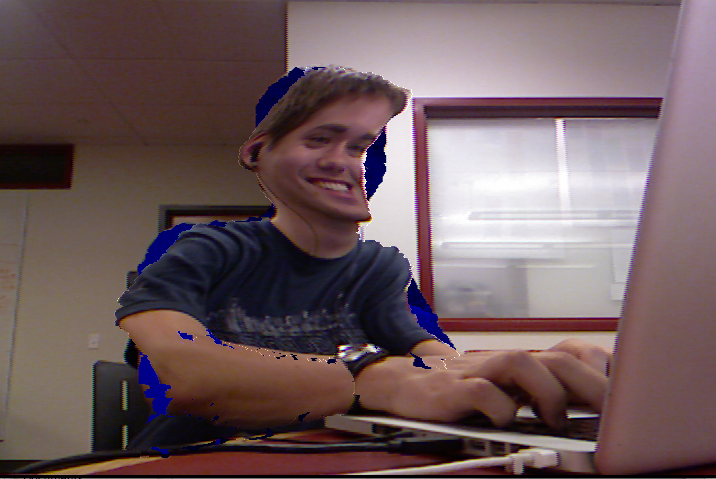 Using only your Kinect and a pile of GLSL shaders, you can create a wide array of effects. 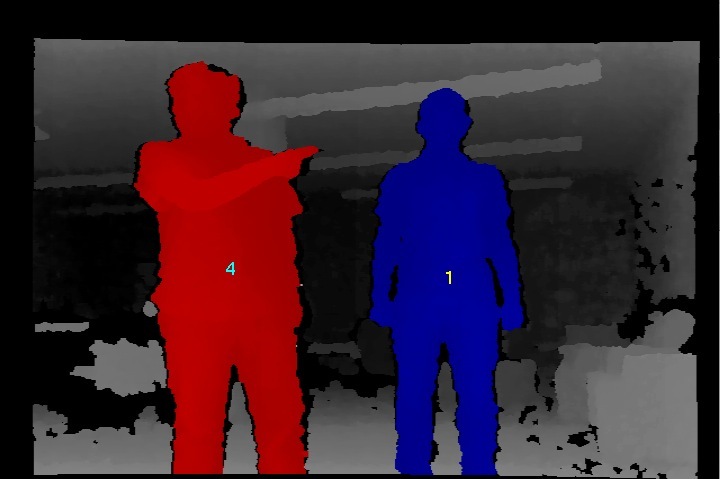 This hack relies on the PrimseSense framework, which provides the scene analysis and body detection algorithms used in the XBox. I initially wrote my own blob-detection code for use in this project, but it was slow and placed constraints on the visualization. It required that people’s bodies intersected the bottom of the frame, and it could only detect the front-most person. 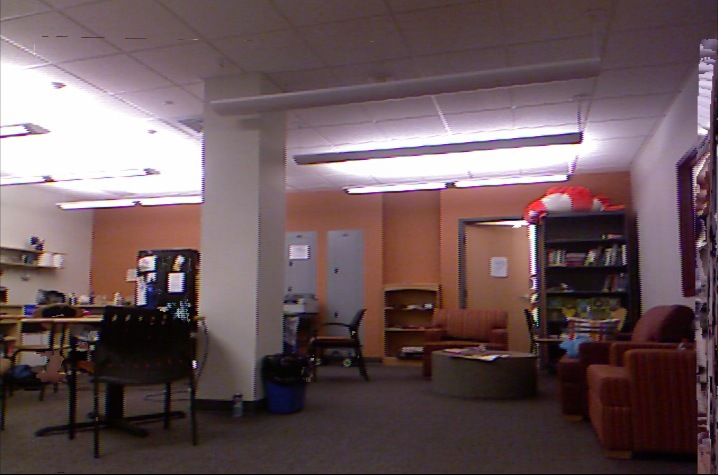 It assumed that the user could be differentiated from the background in the depth image, and it barely pulled 30 fps. After creating implementations in both Processing (for early tests) and OpenFrameworks (for better performance), I stumbled across this video online: The video shows the PrimeSense framework tracking several people in real-time, providing just the kind of blob identification I was looking for. Though PrimeSense was originally licensed to Microsoft for a hefty fee, it’s since become open-source and I was able to download and compile the library off the PrimeSense website. Their examples worked as expected, and I was able to get the visualization up and running on top of their high-speed scene analysis algorithm in no time. Alignment problem, solved. 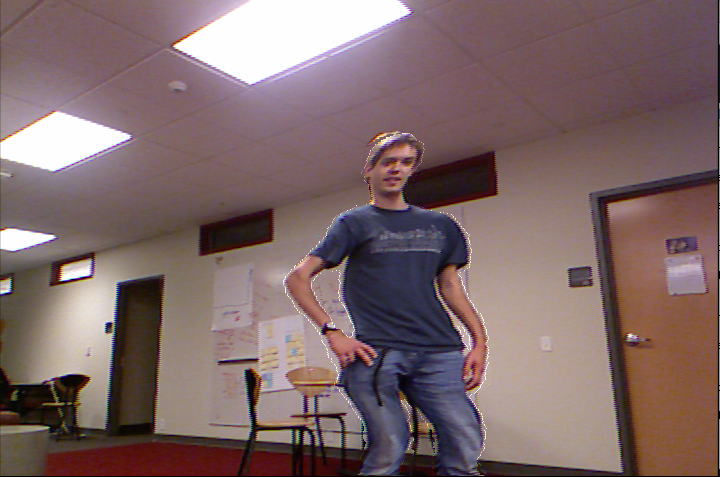 After specifying an alternative view point, I was able to mask the color image with a blob from the depth image and get the color pixels for the users’ body. Next step, distortion! 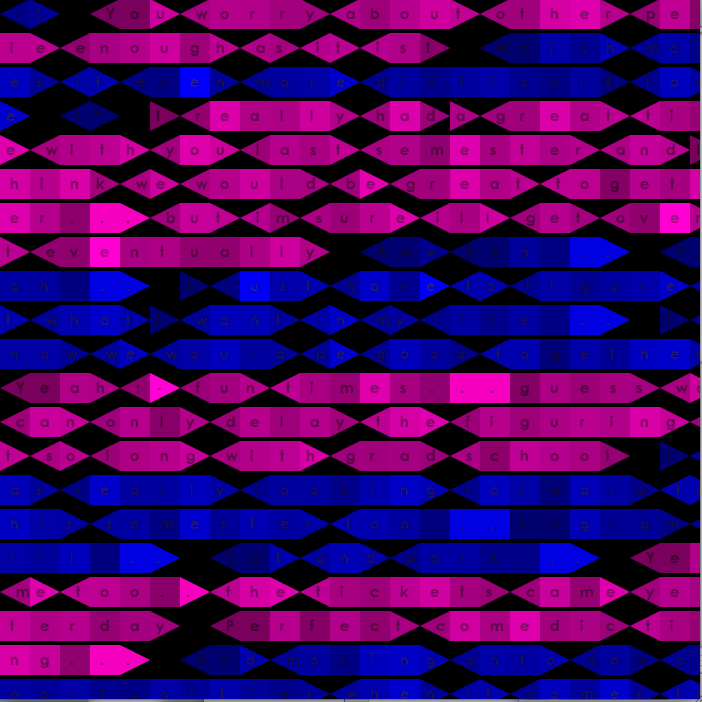 Luckily, I started this project with a fair amount of OpenGL experience. I’d never worked with shaders, but I found them pretty easy to pick up and pretty fun (since they can be compiled at run-time, it was easy to write and test the shaders iteratively!) I wrote shaders that performed pixel averaging and used sine functions to re-map texcoords in the cut-out image, producing interesting wave-like effects and blockiness. 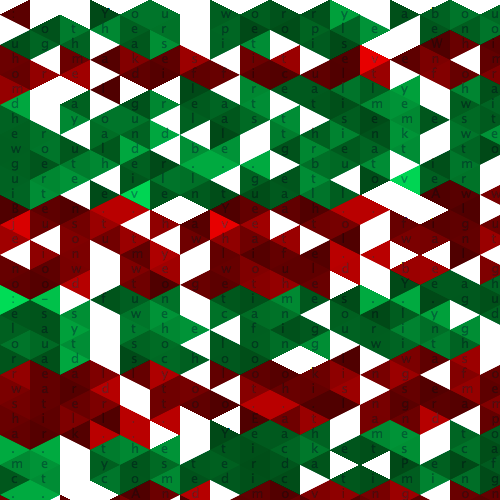 I’m no expert, and I think these shaders could be improved quite a bit by using multiple passes and optimizing the order of operations. 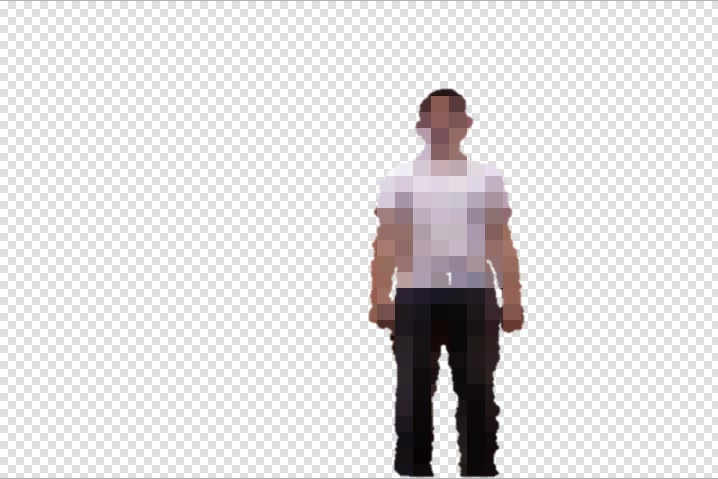 Since many distortions and image effects turn the user transparent or move their body parts, I found that it was important to fill in the pixels behind the user in the image. I accomplished this using a “deepest-pixels” buffer that keeps track of the furthest color at each pixel in the image. These pixels are substituted in where the image is cut out, and updated anytime deeper pixels are found. 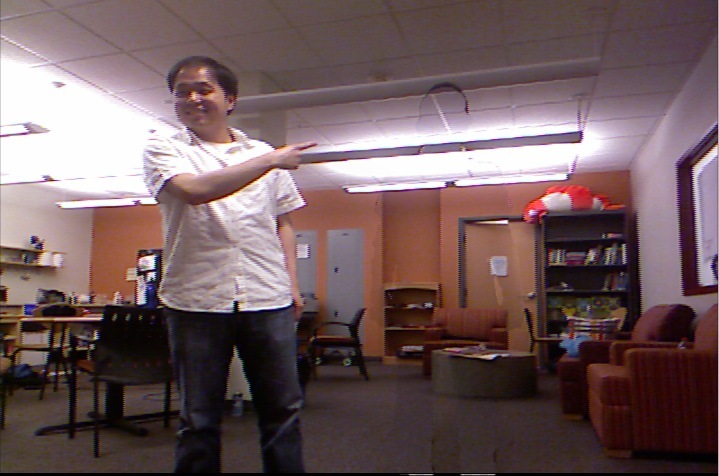 The color and depth images are read off the Kinect. OpenNI is used to align the depth and color images, accounting for the slight difference in the lenses and placement that would otherwise cause the pixels in the depth image to be misaligned with pixels in the color image. 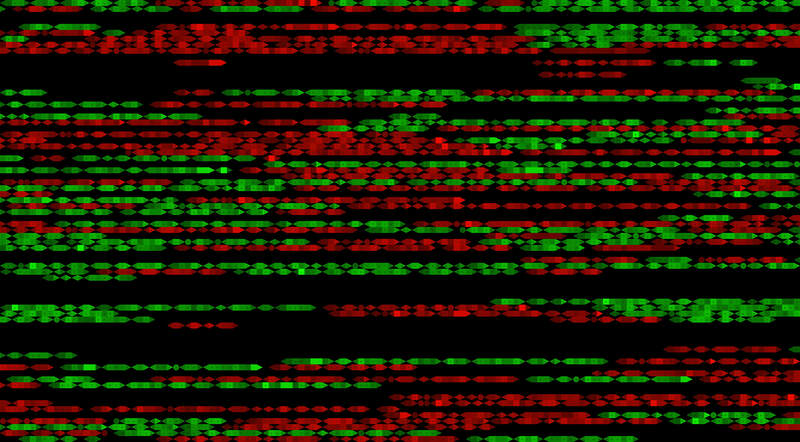 The depth image is run through the PrimeSense Scene Analyzer, which provides an additional channel of data for each pixel in the depth buffer, identifying it as a member of one or more unique bodies in the scene. In the picture at left, these are rendered in red and blue. One of the bodies is selected and the pixels are cut from the primary color buffer into a separate texture buffer. The depth of each pixel in the remaining image is compared to the furthest known depth, and deeper pixels are copied into a special “most-distant” buffer. 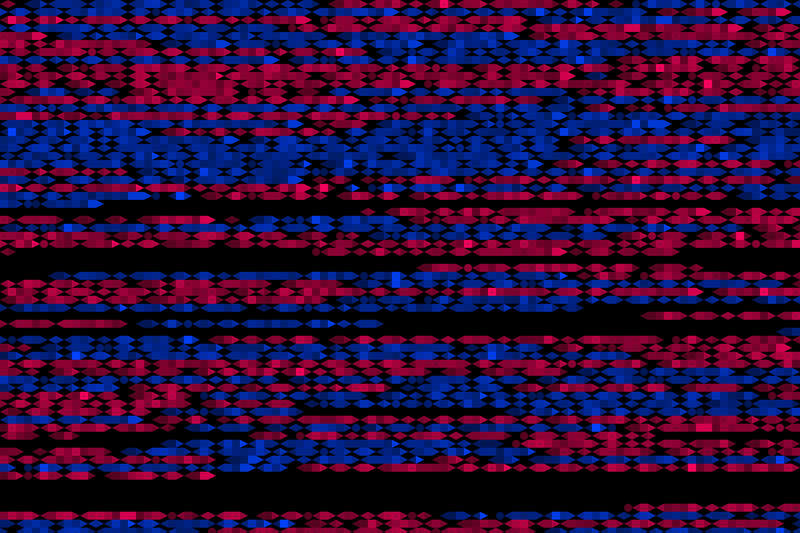 This buffer contains the RGB color of the furthest pixel at each point in the scene, effectively keeping a running copy of the scene background. The pixels in the body are replaced using pixels from the “most-distant” buffer to effectively erase the individual from the scene. 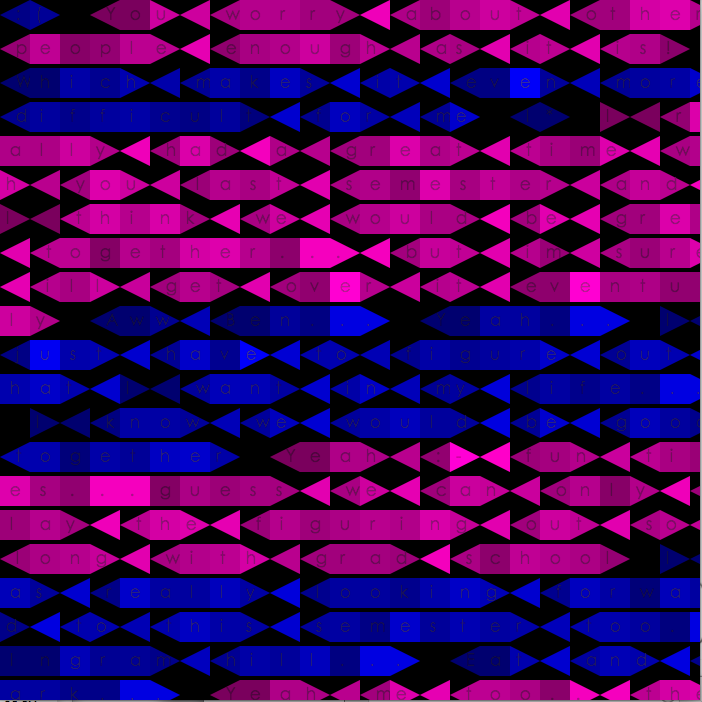 A texture is created from the cut-out pixels and passed into a GLSL shader along with the previous image. 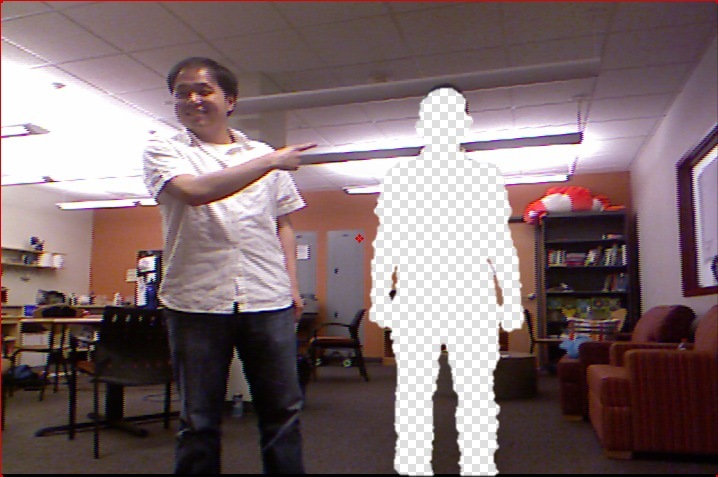 The GLSL shader performs distortions and other effects on the cut-out image before recompositing it onto the background image to produce the final result.